Try the Tiller Simple Business Spreadsheet. It's flexible, easy, and powerful. It organizes all your business accounts and data into a single place. Vetted and friendly, but customizable business categories to get you started. Easy to understand dashboard for quickly gaining clarity around cash flow, income, expenses, and category level insights. Reconcile pending transactions and statements to make bookkeeping quick, easy, and automated. Automated P&L and category detail reporting. Automated category workflows with AutoCat. 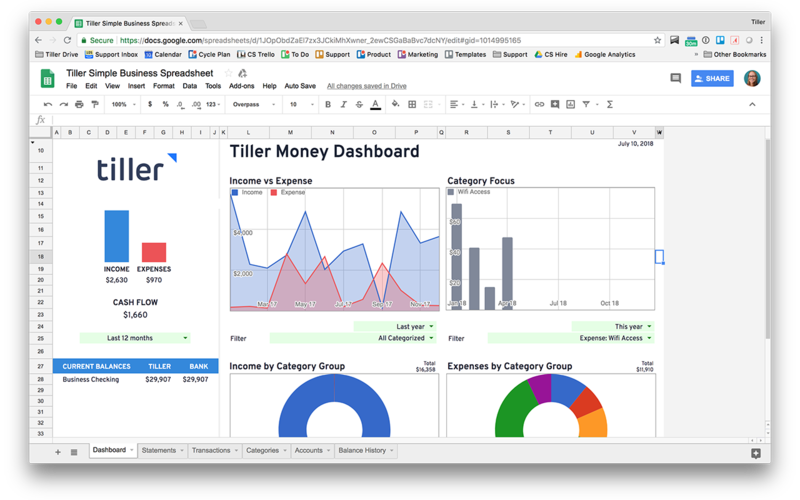 Tiller's automated daily feed of your business financial data directly to a Google Sheet.